Need a filter for that selfie? #LookNoFurther. 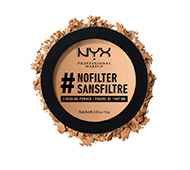 The new Perfect Filter Shadow Palettes feature ten vibrant shades of the amazing eyeshadow. Available in five striking color combinations, each collectible set is inspired by a different photo filtering effect. Go bold and add a pop of color to your lower lash line and blend outward and in circular motions using our Pro Smudger Brush (PROB 15). Keep the lids neutral to tone it down for a daytime look! 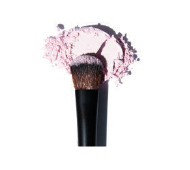 Add some highlight to the inner corner to brighten and balance. The new Perfect Filter Shadow Palettes do it all, with a combination of ten matte, shimmery, metallic and duo-chromatic shades of highly pigmented eyeshadow in every palette. Available in striking color combinations, each set is inspired by a different photo filtering effect. #NoFilter needed for these beautiful eyes! Doll up your lips in plush and vibrant colour! 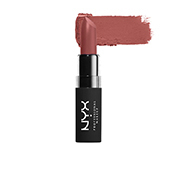 The latest NYX Professional Makeup fan favourite Liquid Suede Cream Lipstick glides on and sets into a striking polished matte finish. This waterproof lippie is infused with Avocado oil and Vitamin E.
Goes on opaque and dries to matte finish. 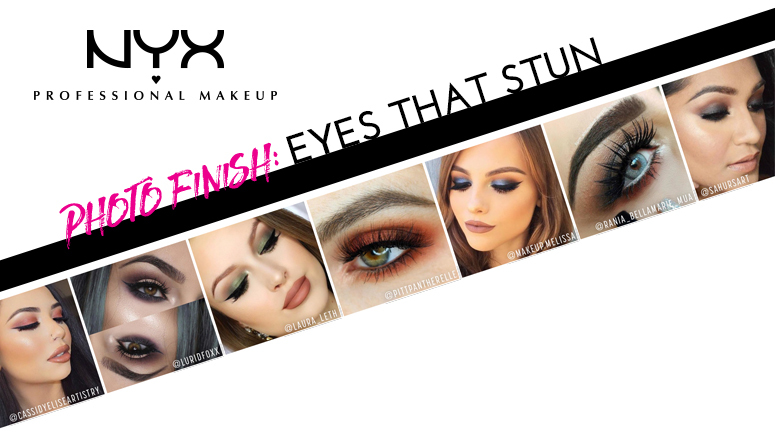 Additional Information : NYX Professional Makeup Presents striking matte finish , highly pigmented and long-lasting matte lipsticks and lip liners which glide on smooth and perfectly and are available in wide range of vibrant shades and colours. 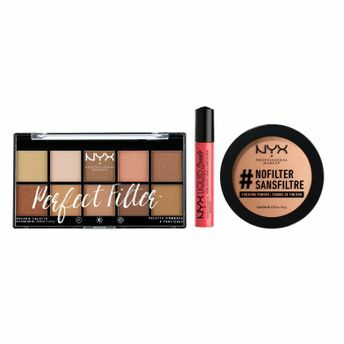 Swipe on your favourite creamy colour and lasting soft matte NYX Professional Makeup Lipsticks, Lip pencils,Lip glosses ranging in full, medium or sheer coverage and pick your personal favourite from varied super matte, glossy or creamy finish range in bold and neutral colours suitable for all skin types.